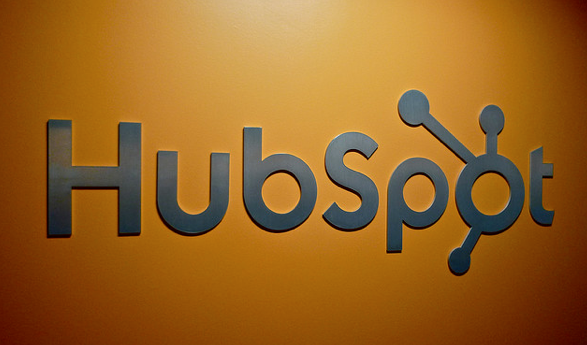 Today, Boston-based HubSpot became a public company trading as “HUBS” on the New York Stock Exchange. A lot has been written about its economics, growth and potential as a public company. But I think the enduring legacy of HubSpot, even overshadowing its impressive financial performance, is the central role it has played in educating a new generation of marketers. In 2008, I became the CMO of Eloqua. Shortly after starting my new job, I read Inbound Marketing, a book written by HubSpot founders Brian Halligan and Dharmesh Shah. Actually, I devoured it in a single night. It shook up everything that I knew as a marketer. It changed my thinking so much that I got copies of Inbound Marketing for every member of my team. (That was actually pretty easy as HubSpot was then located in the same Cambridge, Massachusetts building and the team was more than happy to give me free books). My marketing team read it and we all discussed its ideas together. You see, I was a traditional marketer practicing what Brian and Dharmesh like to call “interruption” marketing. Each year, I saw the effectiveness of the traditional marketing playbook erode as spam filters, ad blockers and caller ID empowered the consumer with new and better control over interruptions from marketers. Buying lists, blasting emails and cold-calling were no longer effective. A new playbook was needed, and inbound was it. The core idea of inbound marketing is to create a steady stream of valuable, relevant content. When you publish content that your audience really cares about, you naturally attract inbound traffic that can eventually convert into paying customers. It is never about shilling for your product. It’s about relevant, valuable content. At the heart of Eloqua’s growth strategy was the application of inbound marketing with an emphasis on SEO, blogging, video, ebooks, infographics, and social media. I hired the irrepressible Joe Chernov to run content and we built our audience. (Note: HubSpot hired Joe shortly after Oracle bought Eloqua and Joe now runs its content programs). With inbound marketing fueling its growth, Eloqua had a pretty good run. Eloqua went public in 2012 and was bought by Oracle for nearly a billion dollars last year. Thank you, HubSpot. When most companies have their IPOs, it’s a private celebration amongst founders, employees, investors, bankers and lawyers. But the debut of HUBS needs to be a more public celebration. The HubSpot IPO represents the idea that one company, with a powerful set of ideas, can change behavior. Thousand of marketers around the world have transformed into modern marketers by embracing the principles of inbound. I, too, am grateful for how the inbound movement (yes, it feels like a movement) has changed me as a marketer. Even today, HubSpot continues to educate and inspire me with its content. And I’m not alone. Its blog gets more than 1.5 million monthly visits and its annual INBOUND conference attracted more than 10,000 attendees last month. There has been a lot of talk about the “Unicorn Club” recently. The Unicorn Club consists of the forty or so software companies started since 2003 and valued at over $1 billion. For the record, that’s about .07 percent of venture-backed software startups. With its IPO this week, HubSpot will almost certainly enter the exclusive Unicorn Club – a rare accomplishment indeed. But what HubSpot has done is even more impressive. It set out to build a great company AND change the practice of marketing. Taken separately, each of these goals would be nearly impossible. It is both stunning and inspiring that HubSpot has succeeded at both of these goals. On behalf of marketers everywhere, thank you, HubSpot.